Milk created the visual effects for new BBC TV drama My Mother And Other Strangers. 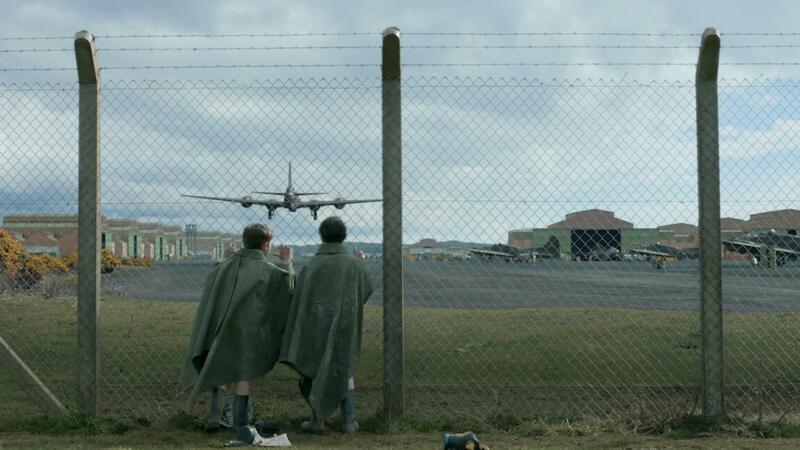 The five part drama series is set in Northern Ireland during World War Two and follows the fortunes of the Coyne family and their neighbours after a huge US airfield lands in the middle of their rural parish. Milk was briefed to create Second World War period features including an animated CG B17 bomber, the airfield environment and extensive 2D period clean ups. Milk modelled and textured the B17 Bomber using historical references to match the specific bomber that would have been used in training exercises in Ireland. To create the illusion of a fleet of planes, Milk created three variations with differing plane insignia. To create the realistic metal fuselage, Milk used Arnold to create multi-layered shaders that could blend to add oily, shiny and glossy paint effects. Once the look of the plane was approved it was tracked into multiple shots and animated. Originally a drone was to be flown through the shots as a point of reference for actors and also to help with lighting the CG Bomber to match the lighting conditions on the day of shooting. However, the noise of the drone would have interfered with the dialogue recording, so instead animators were tasked with carefully matching the speed of the plane to the movement of the camera and the actors whilst retaining the correct scale, so that the two images worked seamlessly together. 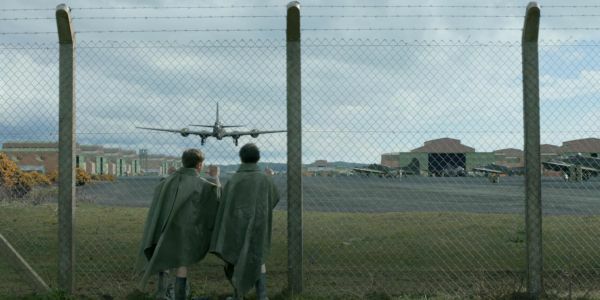 The plane is featured in a number of shots with it taking off, flying over the village and crossing the sky as actors watch it pass; all in an effort to help establish the setting and show how close the US airfield was to the village. 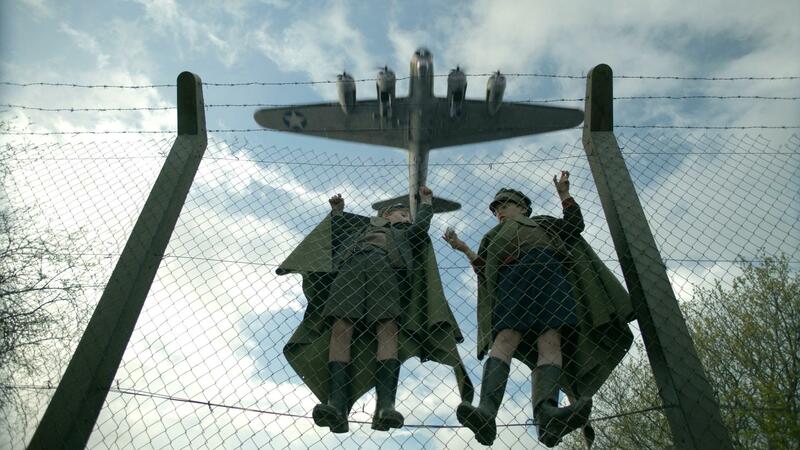 A number of 3D digital matte paintings were created to replicate a Second World War airfield and guard post in rural Ireland. We used concept references provided by the production designer to ensure accuracy. One particular scene proved especially challenging for the team. The Loch featured in the story is fresh water but the shoreline location shot in the series is sea based, thus a lot of seaweed had to be removed as actors walked up and down the shoreline. This required an extensive amount of tracking and rotoscoping work as well as replacement 3D rendered shoreline. We also undertook a range of 2D clean ups to ensure the Second World War period was accurately represented, including removal of modern day buildings and cars as well as buoys floating in the sea.